The Inner Garden provides creative, beautiful, sustainable solutions for both landscape and indoor "plantscapes". Working with our clients input, our professional horticultural staff creates an easily maintained atmosphere unique to the residential or commercial location setting. Each design primarily addresses function, while keeping form in mind, in order to create either a landscape that requires less maintenance, or that results in a 'clean air', healthy indoor living space. 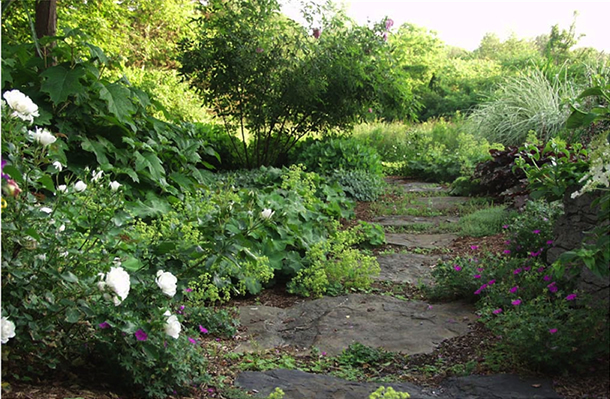 To achieve our custom look for each setting, in addition to stone, we use native Northeastern trees, shrubs, and perennials from local growers. We also promote biodiversity with ecologically appropriate non-native species mixed in with native plants for additional textures and an inspired new look. Our green interiorscapes blend lush species from the tropics and sub-tropical regions of South America and Florida. We incorporate stone, fine pottery and planters that resonate with the spirit of the space.